In March 2019, a Swiss study was conducted with nine wheels of cheese to see if music affected their smell, taste, and quality. The cheeses were separated into different wooden crates last September and were then exposed to 24-7 music. Various types of music were used for the experiment including A Tribe Called Quest’s hip hop track “We Got it From Here,” Mozart’s ‘Magic Flute’ opera or Led Zeppelin’s rock classic “Stairway to Heaven”. According to Bern University and Arts researchers, “The most obvious differences were observed in strength of flavor, smell and taste,” based on a blind taste test they conducted. Apparently, the Tribe Called Quest, or hip-hop sample was the best out of all the cheese exposed to music in terms of fruitiness, having the strongest smell and taste. Swiss TV chef claimed that “The differences were very clear, in term of texture, taste, the appearance, there was really something very different.” However, when exposing the cheese to various music, they didn’t use ginormous speakers, but rather small transmitters to get the sound directly into the cheese. According to the researchers, the blind taste test was conducted twice with the “hip-hop cheese’ ranking the best on both occasions. 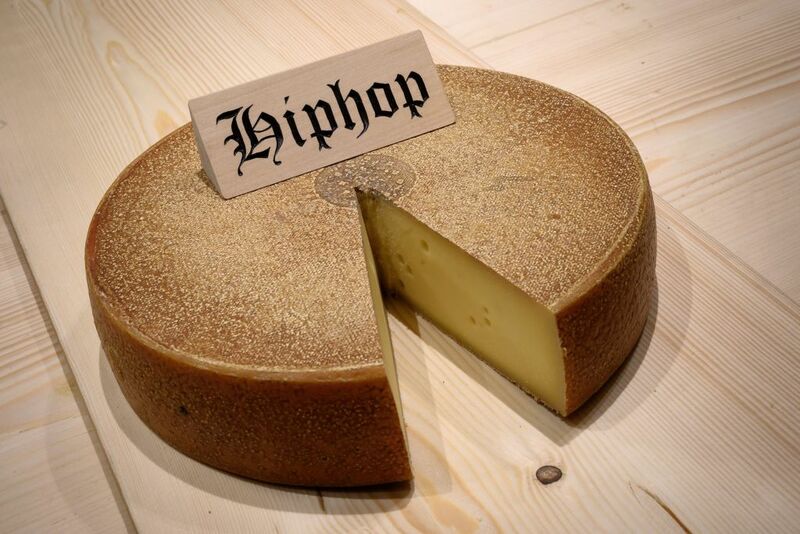 The study will now focus on hip-hop’s effect on different cheeses from here on out.